Japanese cuisine is the most famous in the world because of the fussy manner in processing and decorating each dish, the taste of Japanese food is usually elegant, gentle. It is suitable to the natural atmosphere of each season, bearing boldness own identity. Coming to Japan, you should not miss the opportunity to enjoy the unique and artistic dishes of the beautiful Phu Tang country of Japanese cuisine is also known as Washoku. This is a very unique feature of Japanese cuisine, a subtle and harmonious blend of Japanese cuisine with Chinese and Western dishes. Therefore, you can’t help but be surprised when the Japanese table is filled with sausages, bread, … or the habit of drinking coffee in the morning. Most Japanese dishes are very low in calories but ensure adequate nutrition for the body. The main ingredients used for processing are usually derived from soybeans, seafood from the sea and vegetables. Therefore, Japanese cuisine in addition to meet the needs of delicious food is very nutritious for health. It may be the same dish, such as ramen, but each region has a way of processing and bringing a distinct flavor. For Japanese food culture, they often say “itadakimasu” before eating rice. It means “to invite” as a thank you to those who have prepared for that meal. After eating, they will say “gochiso sama deshita” – meaning “thank you for the delicious meal”. When pouring sake, it will be poured to others and poured only for themselves when the bottle is empty. China is the most populous country in the world, along with the vastness and diversity of products and climate, leading to a clear difference between food culture regions. 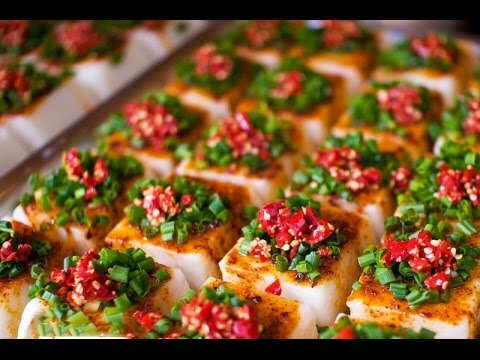 Therefore, the cuisine of China is extremely diverse and unique but still has its own characteristics of each region, rich and rich in identity, which have a great influence on the cuisine of Asian countries. . The first Chinese cuisine is the Shandong culinary school. This is a province located downstream of the Yellow River, fertile land. Shandong is a Chinese wheat barley, vegetables and fruits are also diverse and abundant. All of these factors have created a unique, top Chinese cuisine. Characteristics of this region’s cuisine are the bold, strong, fried, baked and steamed dishes with fresh colors, very eye catching. In particular, the dishes often use lots of onions, garlic, especially seafood dishes. Warehouse, sweet and sour carp are the two most famous dishes of Shandong. 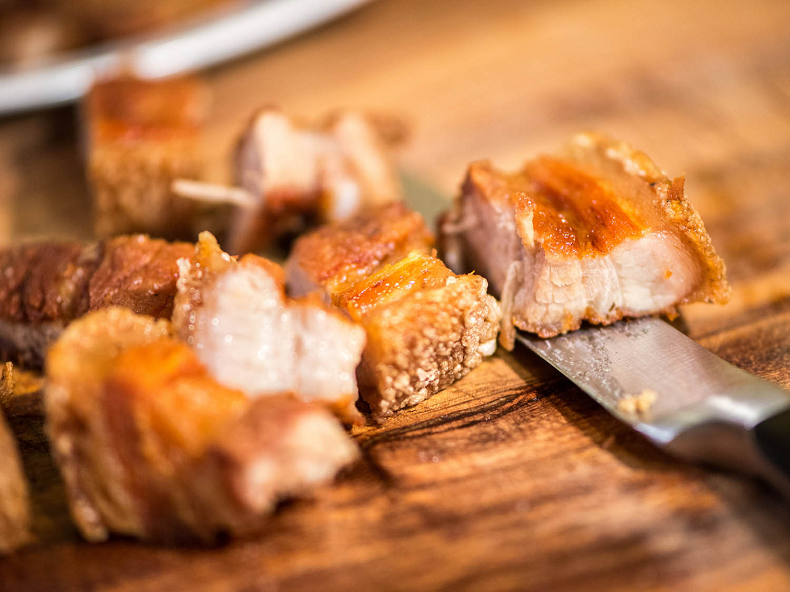 As one of the four main schools of cuisine, Cantonese cuisine is constantly absorbing the essence of other schools and incorporating Western cuisine in its cuisine. Cantonese dishes are varied in composition and prepared in 21 different ways of cooking: stir-fry, fried, grilled, roasted, stewed, stewed, stewed, steamed, and so on. Processing there. The dish should ensure 4 requirements of color, flavor, taste, shape and young without living, fresh but not raw, but without fat, stick without light. The dish also needs to be suitable for the weather, the fall and fall season need to be cool, the spring winter needs to be concentrated. In terms of coordination of ingredients and palates, Quang Dong people like the way of processing live. Today, Cantonese people love live fish and raw fish porridge. Hey, somewhere you have caught sight of athletes, people who exercise, eat bananas after they are tired. 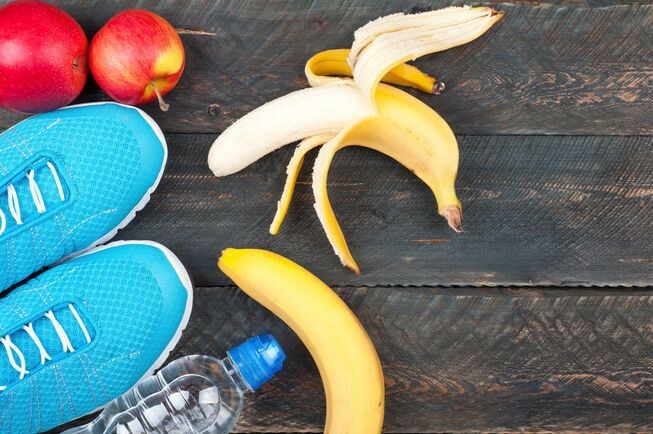 So do you think while there are many different options for sports drinks, why do they eat bananas to supplement their energy And a recent study by the Appalachian State University (USA) has provided evidence that bananas may be a better choice than sports drinks after exercising. The researchers analyzed blood samples from 20 cyclist after using sports drinks and bananas. As a result, in addition to the amount of carbohydrates that help restore energy, bananas appear to be superior in their ability to provide anti-inflammatory substances compared to most sports drinks on the market. Alternatively, you can use blueberries to replace bananas. Researchers point out that the nutritional content of blueberries is like bananas. Dr. Nieman also said, in the future, when exercising, the nutrients in fruits – Phytochemicals – will completely replace chemical foods. In short, eat bananas when you go to the gym. When people are active in prolonged physical activity, energy is greatly depleted, the body must mobilize blood sugar to supply muscles. 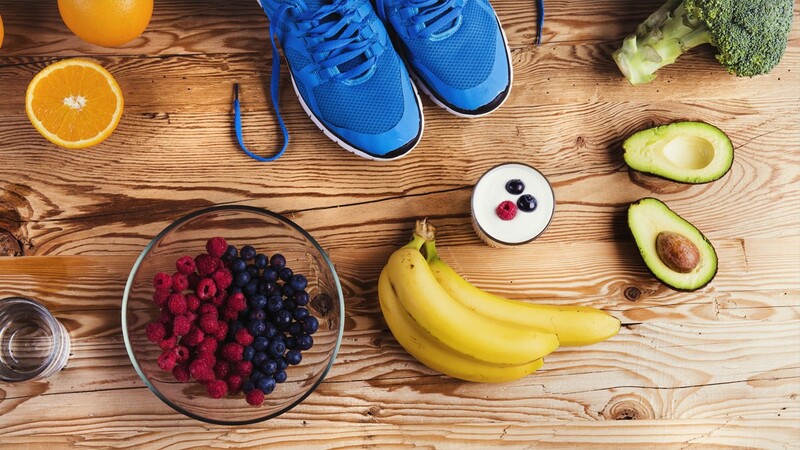 In these cases, bananas in the banana that are absorbed quickly into the blood can immediately replenish the loss of sugar, helping the athlete recover after fatigue. In bananas with slow absorption of fructose, maintain energy for the body longer. In addition, bananas contain other slowly metabolized carbohydrates and release blood sugar slowly in response to hours of physical activity. High potassium levels in bananas also help maintain muscle tone, reducing the risk of athletes cramps. Before traveling to a country, apart from the legal regulations, customs and famous tourist sites, food culture is also a thing that attracts tourists’ attention.  The United States is a country with diverse ethnic and cultural colors. Cuisine also thanks to that extremely rich. But it is still possible to identify American culinary culture through popular eating styles and trends. Breakfast is often overlooked or just a light meal with a cup of coffee or a glass of juice with scones or some cereal with fresh milk. It can also be fried eggs, toast, juice in families who have early preparation time. The lunch that is often used on the spot made with popular food is sandwiches, hamburgers and hotdogs. It is not difficult to understand that America is the origin of big fast food brands McDonald, Burger King. Dinner is considered the main meal of the day. Dinner with a variety of dishes including appetizers, main courses, desserts and accompanied drinks. Before going to bed, many Americans have a habit of eating light as children often drink milk or eat pastries, and adults often eat fruits, cakes and some wine or spirits. American diets are quite large but they are also very economical and scientific. There is no love to eat or leave leftovers on the table. On the American dining table, the dishes are up to the menu to provide the most nutritious, if you go to a restaurant, learn to order food only in your ability and pack it home if the dyke is left. Pizza: Appeared in the US since the beginning of the 20th century and developed with the form of delivery to home. To this day, pizza has been present in almost every country in the world. In each place, people create their own culinary characteristics. 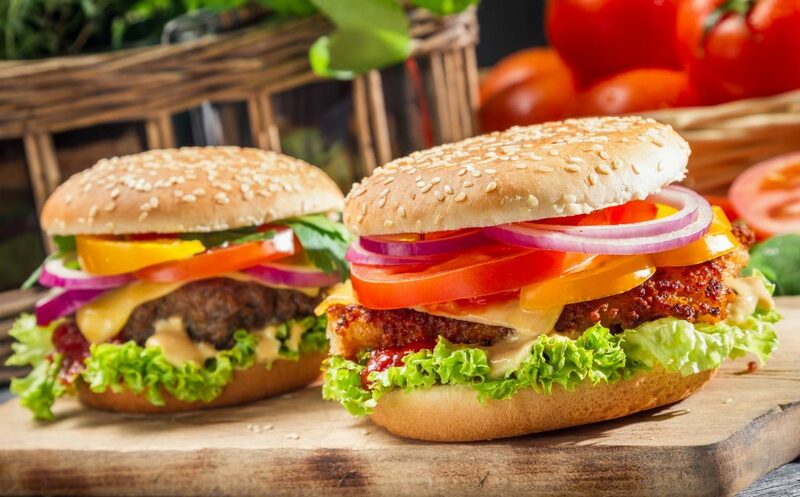 Hamburger: the most popular food in the United States and shows its influence all over the world with pictures of fast food restaurants open 24/7, fast, compact and convenient. If you choose Philippines as a destination for your summer, do not miss the opportunity to enjoy super-cheap, delicious street food in this hospitable country. Orange cake like eyes made from boiled eggs dipped in flour and deep fried. Version for quail eggs called Tokneneng. 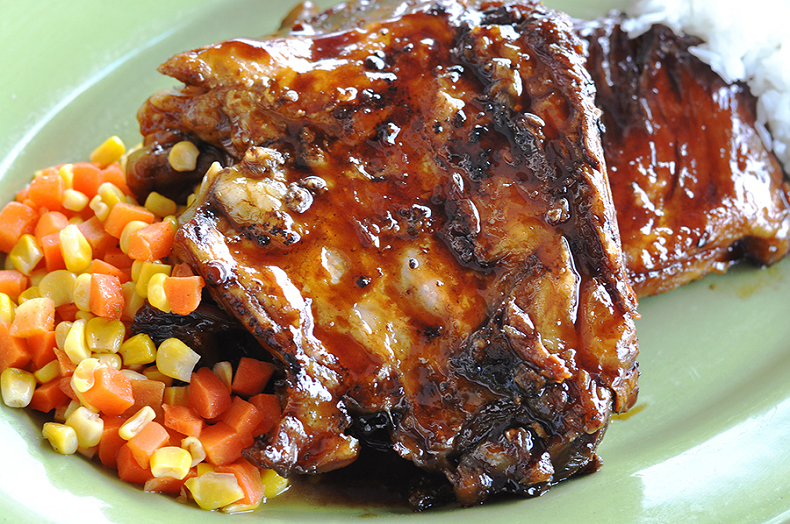 This delicious fried dish is served with sweet and sour sauce or a special vinegar. A stretched banana, wrapped in caramel brown sugar, skewered on a sharp stick is an ideal snack as well as an ideal dessert for any visitor who is visiting the Philippines street. Isaw is also a barbecue, but Isaw has the main ingredient is clean pork or chicken organs, marinated thoroughly then skewered into bamboo sticks and grilled to perfection. Few can deny the appeal of these skewers. Exactly, Adidas is a grilled chicken leg dish. And wherever it is, food is a favorite of many people. A bit of aromatic taste will be more perfect when it comes to spicy gravy. The common name does not mean that the corn in the Philippines is processed normally, or at least only brings a sense of moderate taste. This is a really creative dish when corn is wrapped in a plastic cocoon and then boiled until its wonderful aroma awakens the senses. Corn seeds extracted from the core are greatly enriched with salt, margarine or cheese, giving a stimulating taste to enchantment. Turon is indeed a sweet pleasure. A roll of eggs is covered with sugar, rolled over a hot pan to cover the brown sugar coating on the crust. This unique way of eating brings a richer taste than you think. A healthy breakfast that balances protein, healthy fats, carbohydrates … for body. It also is a great choice for you to start your day. Yoga can be an extremely useful measure of stress relief and strength building. Many people practice yoga to help themselves concentrate before starting a busy day or relaxing after a hard day’s work. The things we eat can help reinforce a calm mind and ensure energy for all everyday activities. In general, you should start the day with a healthy breakfast that balances protein, healthy fats, carbohydrates for the purpose of burning energy slowly, so that you will survive through the morning. . 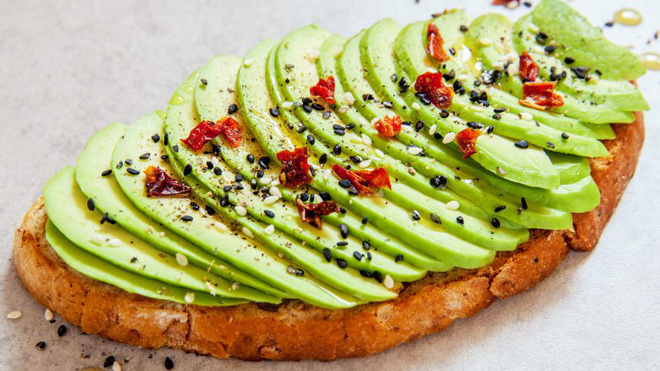 Healthy fats are found in avocados, oils (olives, sesame, coconut …), nuts and nuts; fruits and vegetables such as sweet potatoes, whole grains, beans, beans and lentils are excellent sources of complex carbohydrates. Some of the more nutritious, healthy breakfasts can include: Eggs, sugar-free yogurt, nuts, peanut butter or even protein powder if you want a good, convenient breakfast to bring. Jacqueline Burge yoga teacher on Desk Yogi – choose eggs for her healthy breakfast. 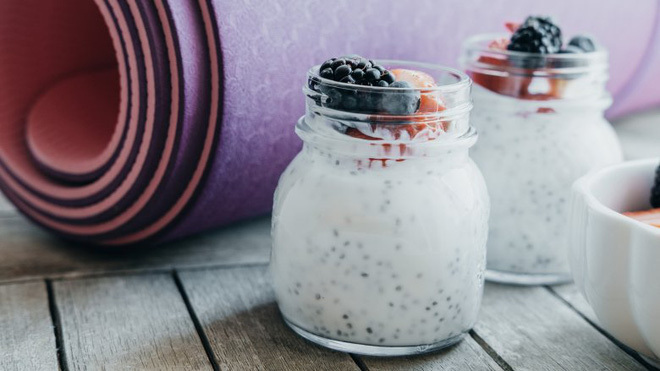 This is one of the most popular breakfast ingredients of yoga teachers. Eggs are a great choice because they provide a stable mixture of protein and fat. 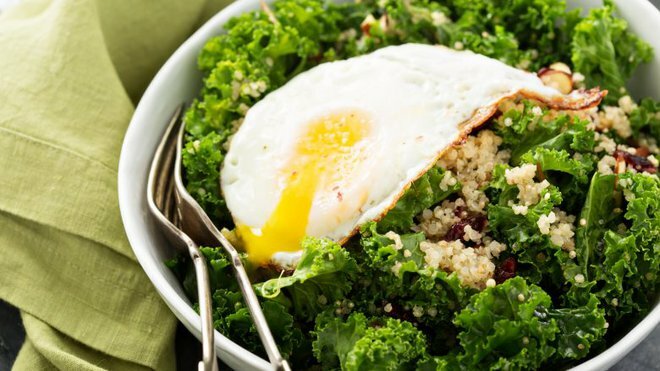 A big 70-calorie egg will contain 6 grams of protein and 5 grams of fat matter. Emily Long in Salt Lake City usually has breakfast with toast with butter slices. This is clearly a dish selected by many yoga teachers. Emily Long of Salt Lake City studied nutrition and worked in the culinary industry so she knew the importance of her healthy breakfast. 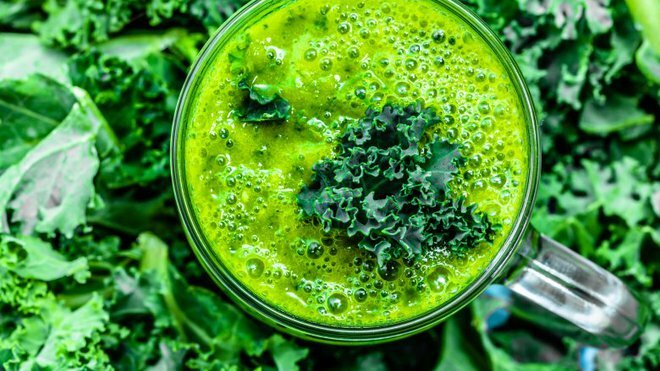 Renee Kennedy, a yoga teacher in New York, choose a green smoothie for breakfast. Renee Kennedy owns an unbeaten recipe. She combined almond milk, bananas, avocados, kale, spinach, and put them in glass jars. Because she often starts the day very early, including running from the gym to the client’s house, a light breakfast that brings a feeling of fullness is essential. It helps her to have a meal until lunch and inspires me to continue to eat healthily during the day. Beef has a lot of nutritional value and be the delicious food. If you know how to process the live beef so while enjoying the taste will be very attractive. Let’s learn some of the best delicious dishes below in the world. Beef is very popular Korean food. Yukhoe beef steak is kept fresh from beef. It is cooked together with eight kinds of spices so it brings a very special taste in the heart of lovers of Korean cuisine. Once you come to Korea, you can not enjoy this delicious taste and unique food of Korea. In addition to famous pastries, the live beef is also the dish that diners in the sunrise country want to enjoy the most. The beef is then chilled or ripe before being wetted. That is the process of processing Tataki beef in Japan. The taste of the fruit juices combined with them will make you feel so good. Tartare is cooked with minced beef, mustard, wine, olive oil, parsley, green onion and raw eggs. Do you believe that this dish has been included in the list of 25 dishes to try in the life or not? 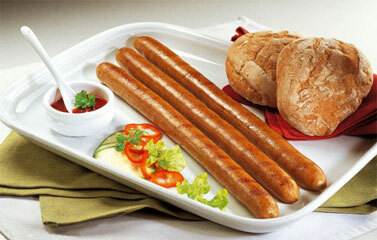 This is extremely popular dish at the French cuisine. In addition, raw beef is combined with mayonnaise, cucumber and toast is worth a try! Eating live beef is not as scary as you think. In Italy, sliced ​​beef sliced ​​1mm thin with fish and olive oil and lemon, and eat when it is cold, it is more interesting. When you eat beef steak and a little spinach with a piece of biscuits, this way of eating is a bit strange, but the taste will stimulate your taste a lot. Parisa is a unique dish that beef is eaten with biscuits in Texas. This dish should have enough ingredients such as jalapeno cheddar, cheddar cheese chopped, onion, lemon juice, garlic powder and salt. Especially this beef will be served with biscuits.